NIMASA DG assured stakeholders that the agency would continue to push for reforms to assist develop indigenous capacity in the shipping and maritime sector to ensure a high level playing field for operators adding that the 2019-2020 period is full of hope for investors. On the regulatory aspect of the 2019 forecast, Dr. Dakuku stated that it is expected that the Suppression of Piracy and other Maritime offenses Bill (Anti-Piracy) would be passed into law within the margin of the 8th National Assembly to provide a robust and detailed framework to criminalize and punish piracy and unlawful acts in the Nigerian maritime domain as well as give further expression to the relevant provisions of the International Maritime Convention on maritime security to which Nigeria is a party. Accordingly, he said that all these will provide the necessary assurance to foreign investors that Nigeria and the Gulf of Guinea to a large extent is a safe hub for International trade. Other Bills that would impact on the sector are National Transport Commission Bill, Petroleum Industry Governance Bill, National Inland Waterways Authority Amendment Bill, Coastal and Inland Shipping (Cabotage) Amendment/Revised Bill and Ports and Harbour Bill. It is instructive to note that the domestic conditions for the maritime sector in 2019 looks tighter considering the budgetary proposal of N8.83 trillion when compared to the approved N9.12 trillion Naira appropriated in the 2018 national budget. It is noteworthy that while growth in the global maritime sector is expected to slow over the next five years with crude oil projected to decline by 0.1%, containerized trade to decline by 0.4 % and seaborne trade by 0.2%. Total fleet increase was projected at slightly over 4% growth for both 2019 and 2020. The baseline forecast is based on the 2018 outcome and 2019 Economic Recovery and Growth Plan (ERGP) forecast for total trade and foreign reserve. 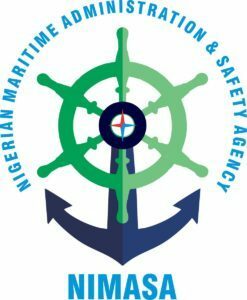 A review of the performance of the 2018 maritime industry forecast released by NIMASA shows that the publication is reliable as the figures projected for the year almost matched the full year actual figures. While the forecast projected 0.66 growth for oil tankers and 3.21 for non-oil tankers in 2018, the actual growth rate was 0.71 for tankers and 3.0 for non-oil tankers.